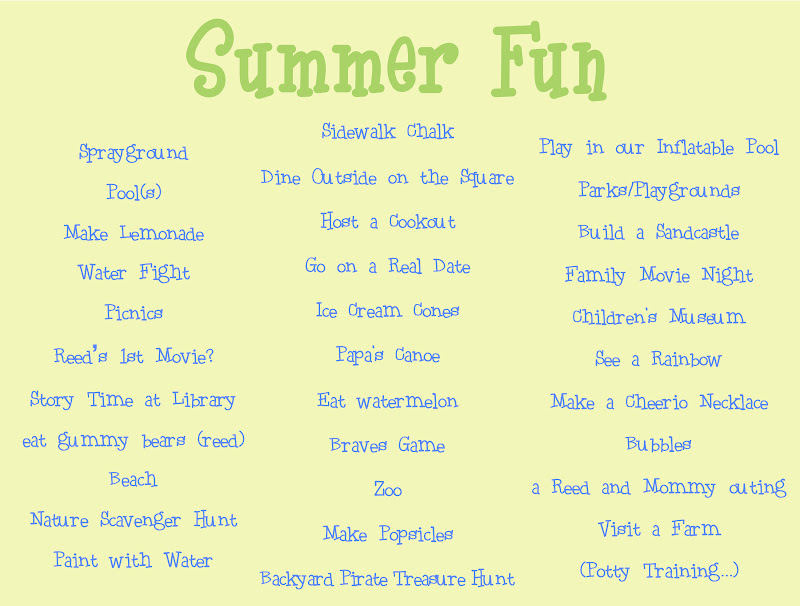 Just a few weeks in, I'm happy to report we've already checked off a few summer stunts! 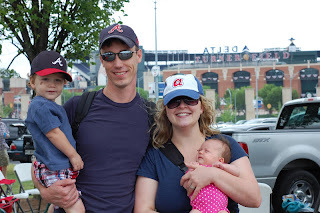 We went to cheer on the Braves, not a small feat but lots of fun! 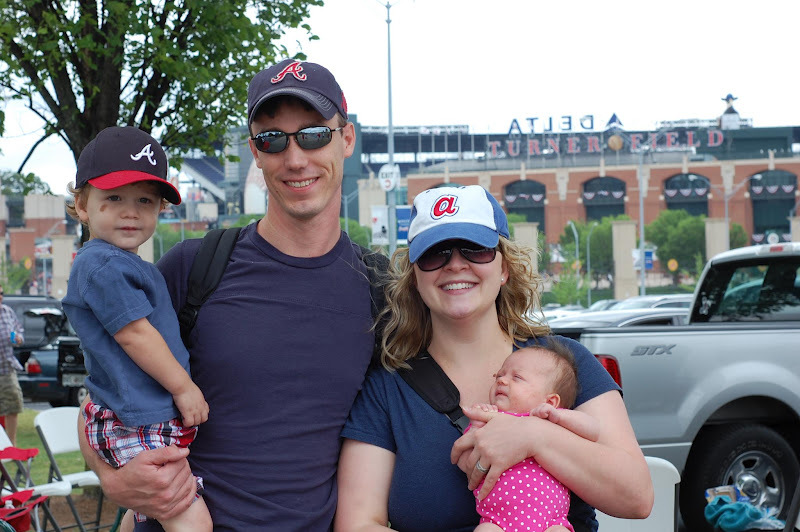 We hosted our first cookout of the summer (this one for the Team of students Daddy is taking to Atlanta next week), and we hope to have our neighbors out this summer too! Matt & I even went on a real date! 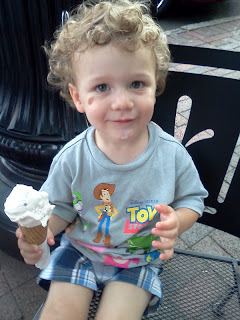 We've made a couple of trips to the Avenue for pennies-in-fountain fun and squandered a Cold Stone giftcard on cotton candy and oreo cream ice cream. Our Cold Stone treats weren't technically cones, but (never fear) we also made it to Sarah Jean's on the square for their special summer flavors. 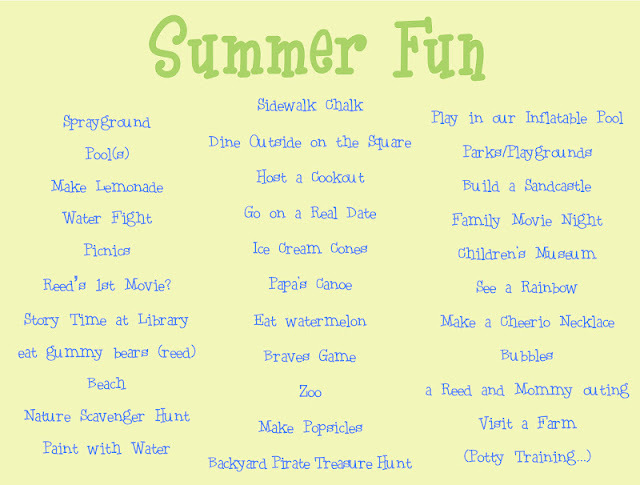 What summer fun are you looking forward to? Any good ideas we should add to our list?